I love the license plate. It works on multiple levels. she's a goth knitter. 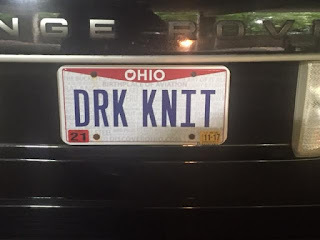 I am a knitter, but I'm not a goth. and K1, P2 is a myth. Maybe he knits without the lights on.